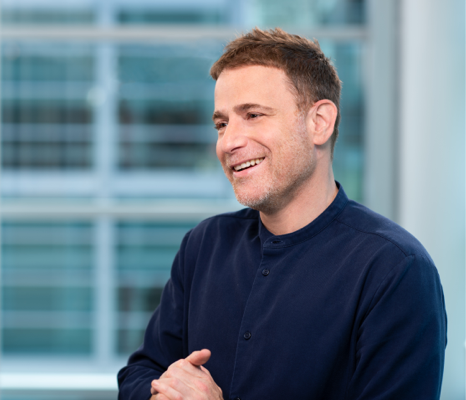 Over the past 20 years, Stewart Butterfield has had a distinguished career as a designer, entrepreneur, and technologist. He pioneered a new way of sharing information on the Internet when he co-founded Flickr in 2003 and, as CEO, built the company into one of the largest web services in the world. Flickr was the vanguard of the Web 2.0 movement, and Stewart was intimately involved in the creation of many technologies that are core to how the world uses networked software today. He was named as one of the 100 Most Influential People in the World by Time Magazine, and one of the Top 50 Leaders by BusinessWeek among many similar honors, such as Vanity Fair’s New Establishment List, the Recode 100, Advertising Age’s Creativity 50, and the 2015 Technology Innovator of the Year by the Wall Street Journal. Stewart has a BA (Hons) in Philosophy from the University of Victoria and an MPhil in Philosophy from the University of Cambridge. He retains academic interests in cognitive science, economics, organizational psychology, and the history and philosophy of science.